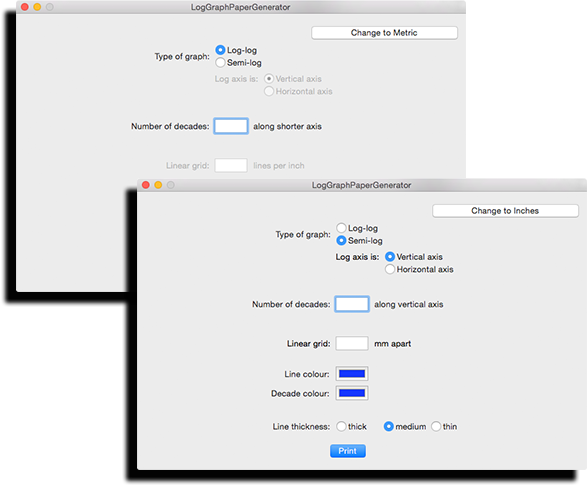 LogGraphPaperGenerator allows you to create the log-log or log-linear graph paper you need when you need it — no more having to settle for what's available for purchase. We created our icons from graph paper created by the app. It's that easy.